The once-owner of two Campbeltown distilleries briefly operated by James Gulliver’s Argyll Group. Amalgamated Distilled Products (ADP) operated a large network of Scotch whisky companies involved in the distilling, blending and export of several brands during the final decades of the 20th century. It was formed to acquire Campbeltown’s Glen Scotia distillery, and produced and distributed a number of beer and spirits brands in the UK and overseas, as well as in travel retail through its subsidiary ADP Duty-Free Sales Ltd. It also operated the Liquorsave chain of off-licenses. In 1983 it merged with James Gulliver’s Argyll Group, which famously submitted an unsuccessful bid for Distillers Company Ltd in 1985. ADP was formed in 1970 to takeover Glasgow’s A. Gillies & Co (Distillers) Ltd and its Glen Scotia distillery in Campbeltown, as well as Grangemouth Bonding Company Ltd among other companies. In the year of its founding, ADP also created a subsidiary, the Glen Nevis Distillery Company, which produced the Glen Nevis brand named after Duncan MacCallum’s Campbeltown distillery which shut in 1923. The brand, which almost certainly did not contain any whisky from its namesake distillery, was available as a single malt, vatted malt and blended Scotch whisky. In 1976 the group established a US marketing and distribution arm, ADP Liquor Imports Inc, which merged with Medley Distilling Company Inc. in 1980 to import a range of ADP’s spirits into the country. In 1979 Scottish businessman James Gulliver, who was born and raised in Campbeltown, acquired shares in ADP through his Gulliver Vintners Ltd, which came with an assumed role in the management of the company. By 1983, ADP had merged with Gulliver’s Argyll Group, which at that time operated the UK’s fourth largest supermarket group. 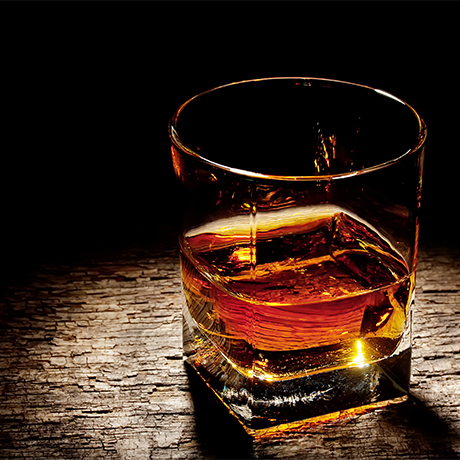 By this time ADP had purchased Chicago’s Barton Brands, which owned Littlemill distillery in Campbeltown, though upon the ADP-Argyll merger the distillery was closed and was sold on to Gibson International three years later. In 1985 Gulliver launched a takeover bid for Distillers Company Ltd, which proved unsuccessful due to the underhanded tactics used by Ernest Saunders, chairman of the successful bidder, Guinness (the deal is still considered one of the most notorious financial scandals of the 1980s). Wounded by the loss and aware of a decline in the market, Gulliver sold off ADP’s distilling interests to Gibson International in the same year. However it kept hold of the Glen Nevis brand, which through Argyll’s merger with Safeway in 1987, now belongs to the supermarket empire’s successor, Wm Morrison. ADP was eventually wound up in 2013. Although named after a lost Campbeltown distillery, Glen Nevis contained different whisky entirely. Once the UK’s third-largest supermarket chain, which owned the Glen Nevis and Auld Acrimony brands.